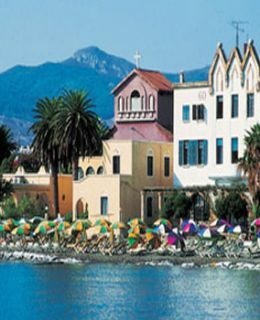 Then Keep on proceeding to your cruise to Rhodes (Rodi or Rodos in Greek) the beautiful island of roses. Rhodos is famous as the island of sun, sea and sand, the ideal place for vacations. It is the third largest Greek island and officially the sunniest place in Europe. The City is amongst the Finest holiday destinations not only in Greece but in the whole Mediterranean basin. 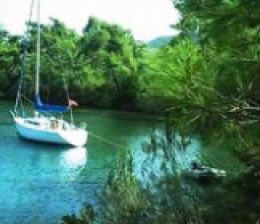 our boat will be anchored at Bodrum Port for dinner for an overnight stay. Bodrum has a history that goes back to the 12th century B.C. The city was called ‘Halicarnassus’ was the birthplace of Herodotus the ‘Father of modern History’ who lived in the 5th century B.C. The ‘Mausoleum’ of King Mausolus (350 B.C.) which is one of the Seven Wonders of the World is in Bodrum. The only structure that survived from the Classical Era is the Amphitheatre. It is one of the oldest amphi theatres in Anatolia with a capacity of 12.000 seats, and is still in use for many shows and concerts in Bodrum. Another place that you should visit whilst in Bodrum is the landmark of the city ‘Castle of Saint Peter’. It is one of the best preserved pieces of architecture with a history that dates back to the middle Ages. such as ‘Myndos Gate’ which Alexander the Great entered through. 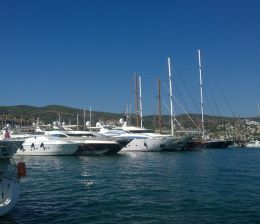 Yacht charter Kos, Rhodos, Bodrum..